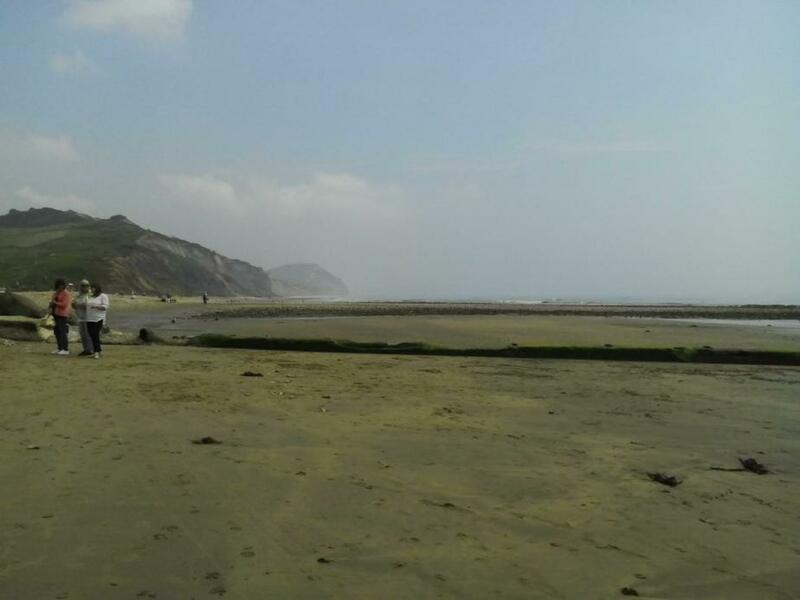 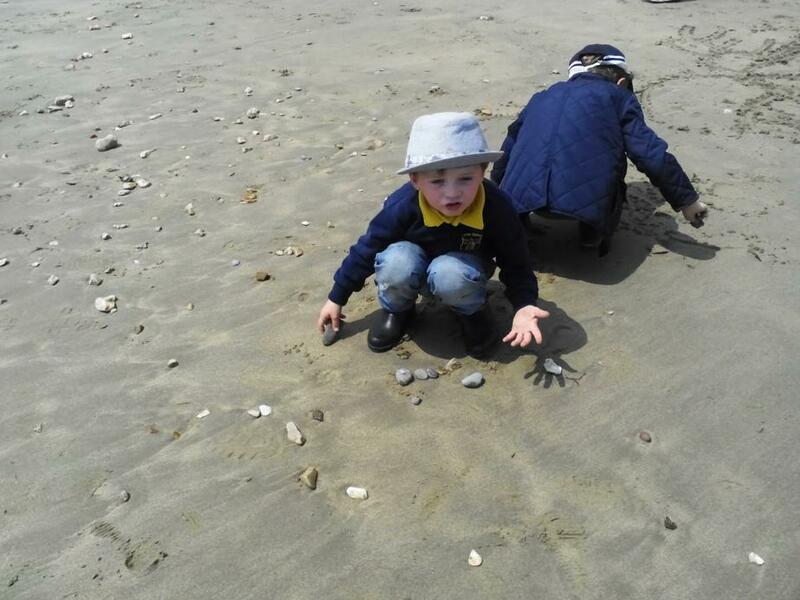 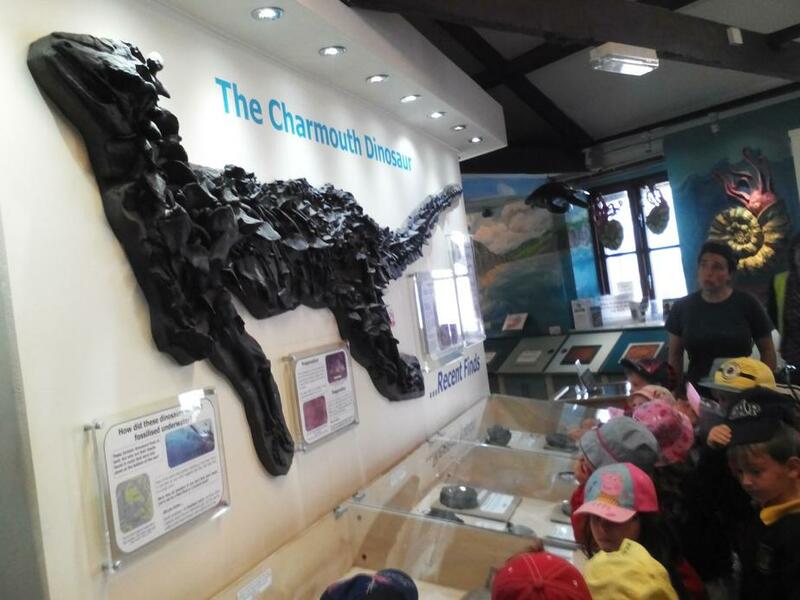 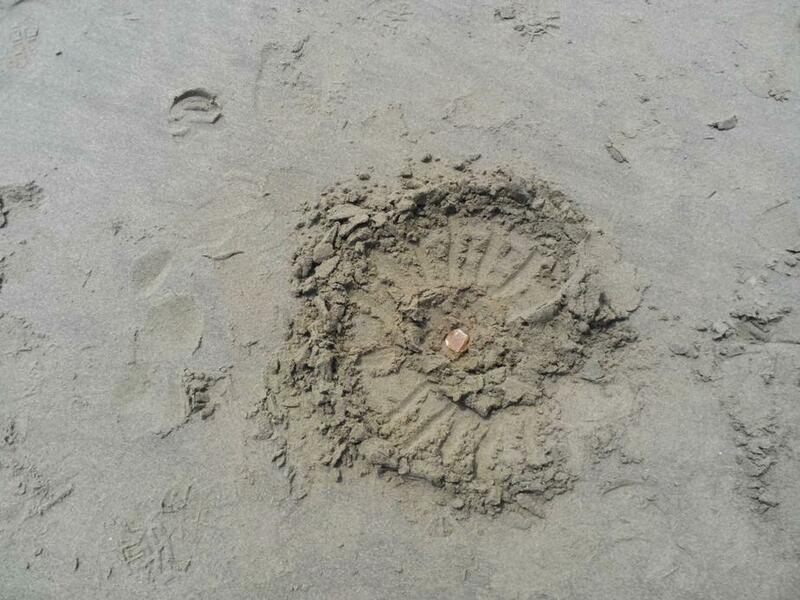 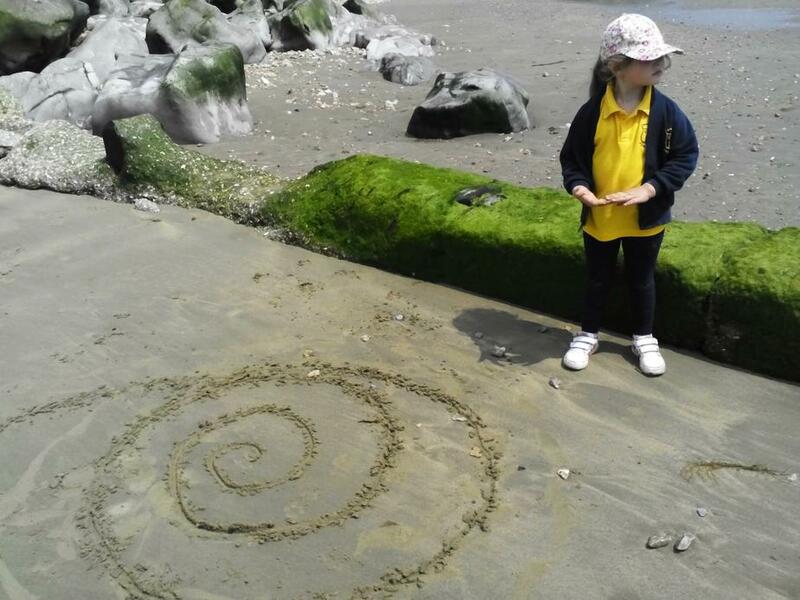 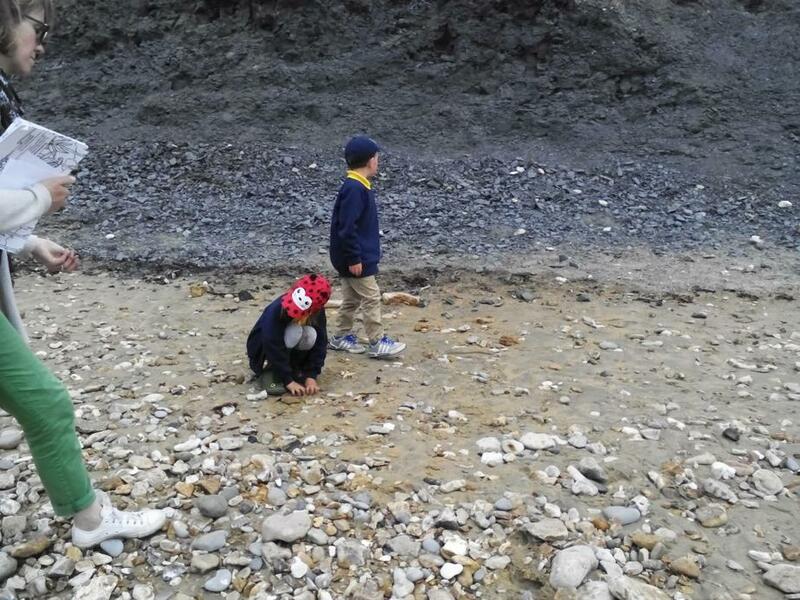 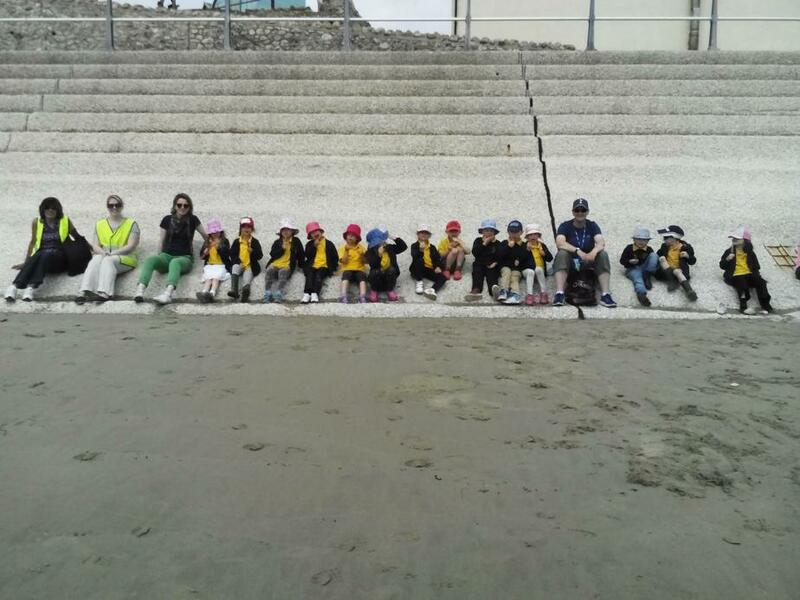 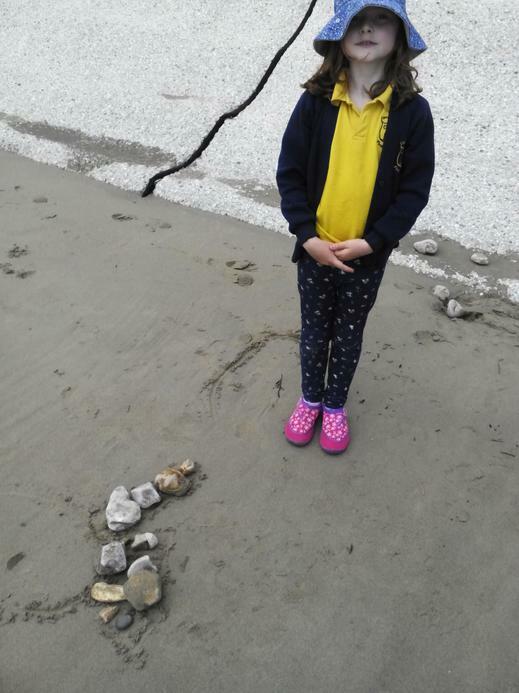 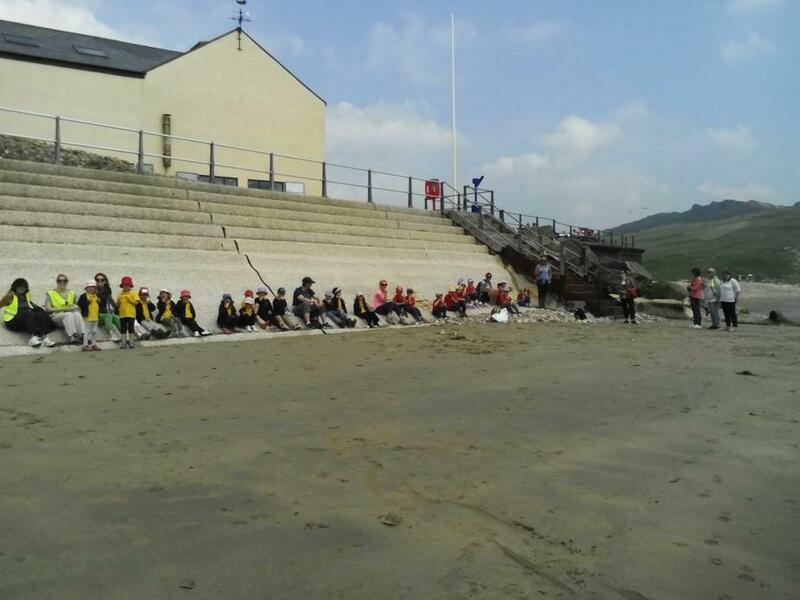 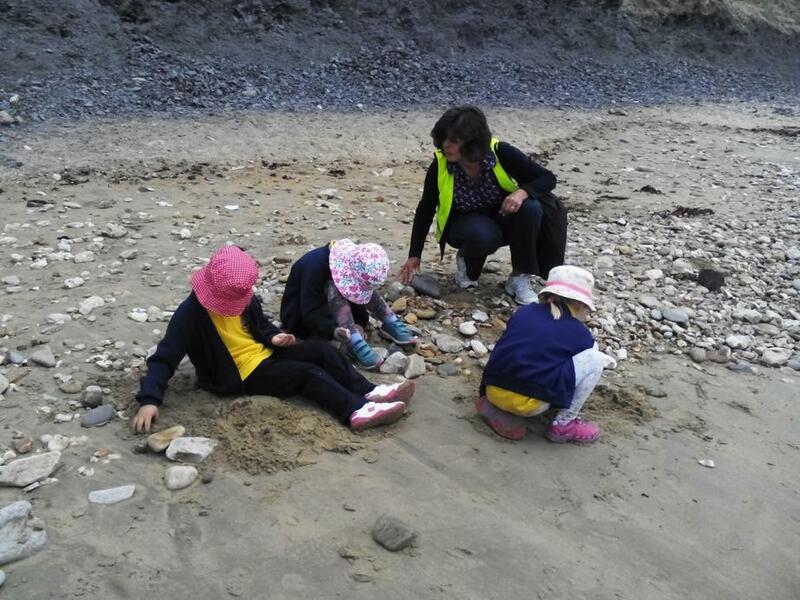 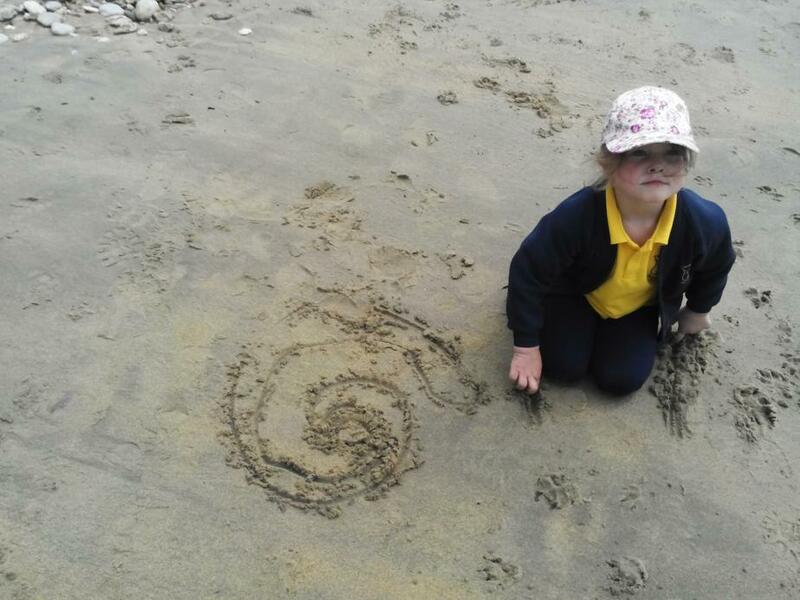 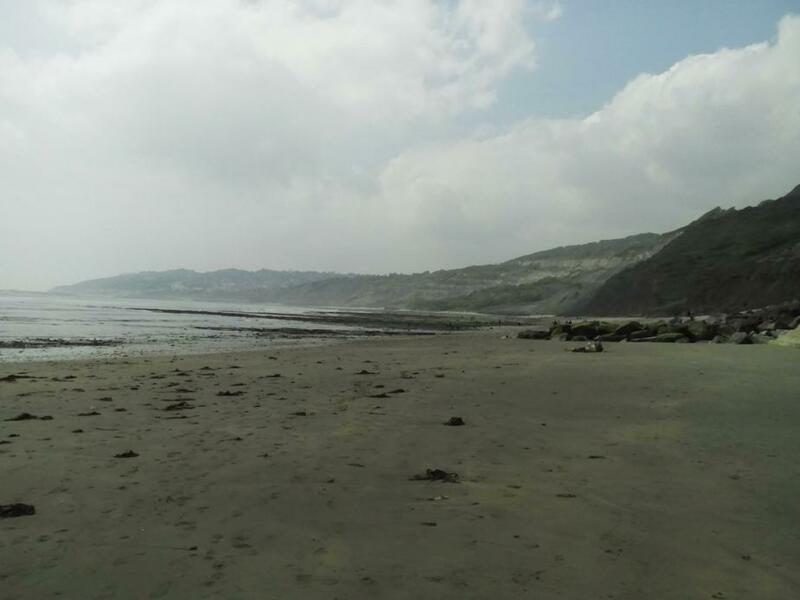 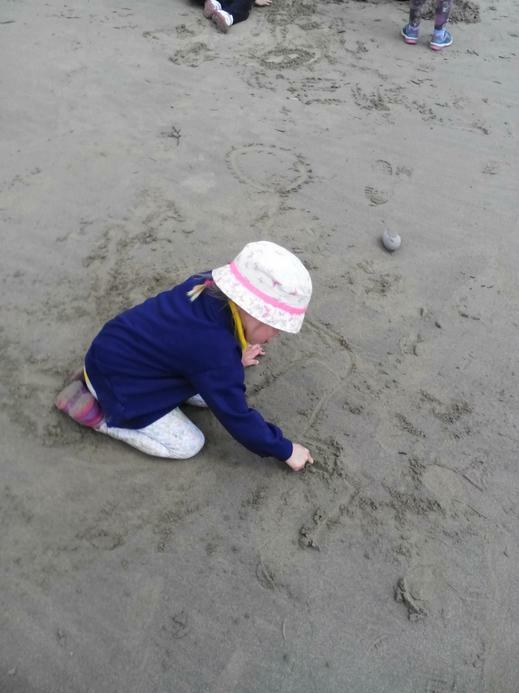 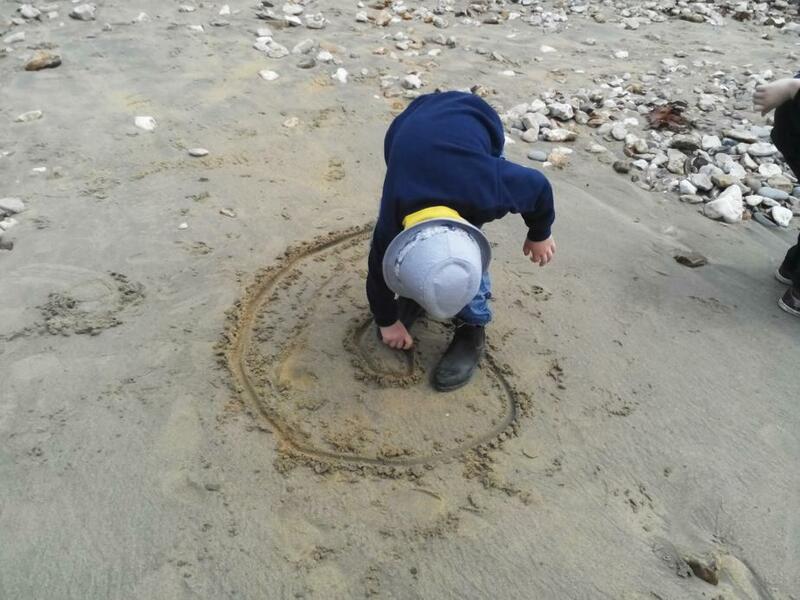 ​Today we have had a wonderful trip to Charmouth. 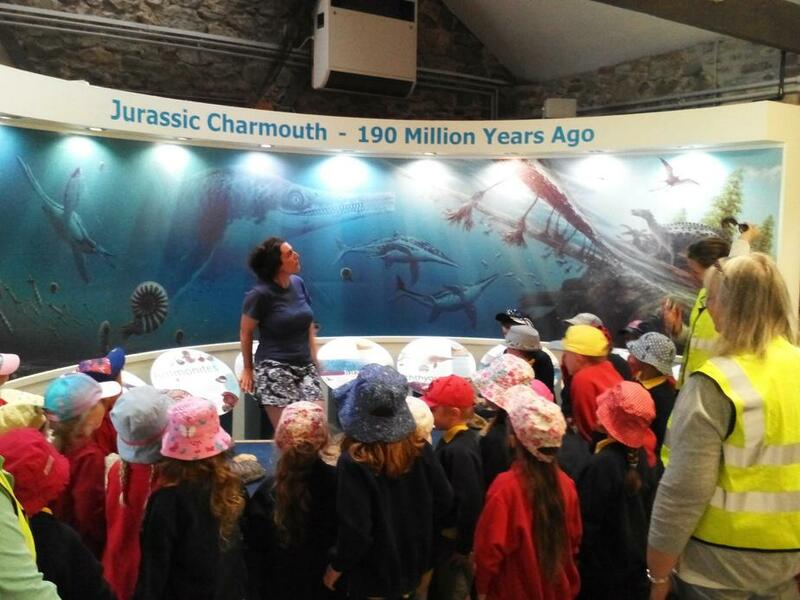 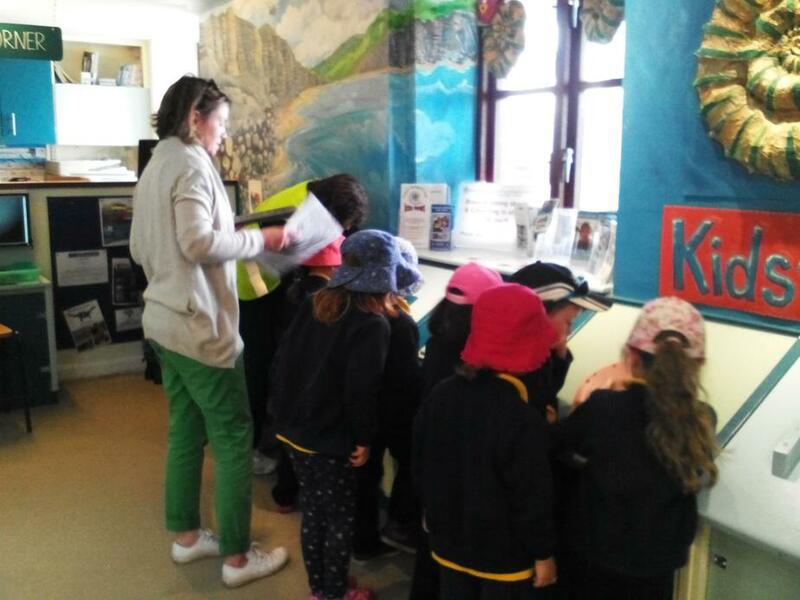 We started the day in The Heritage Centre where we watched a short film about the Jurassic Coast and about being safe and successful when fossil hunting. 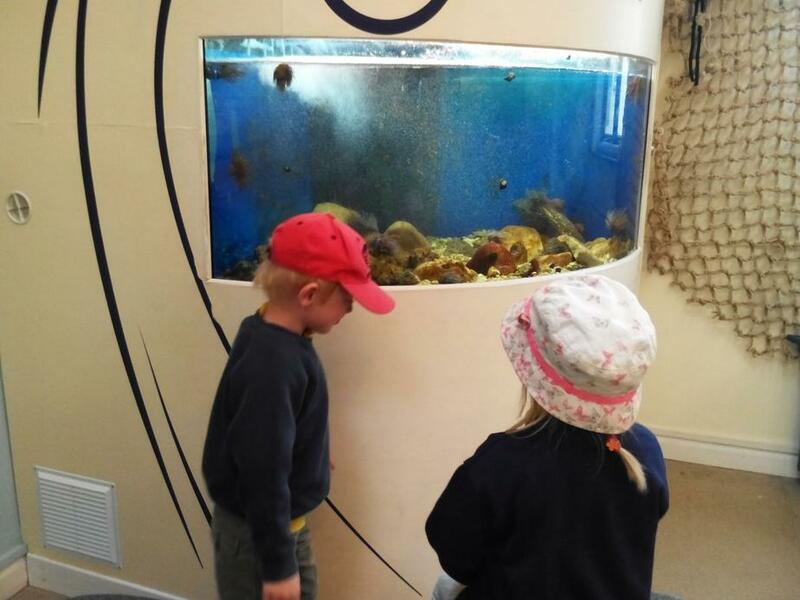 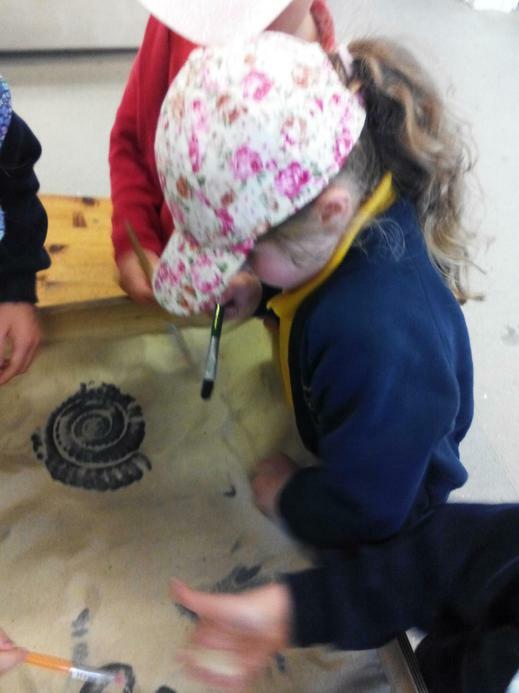 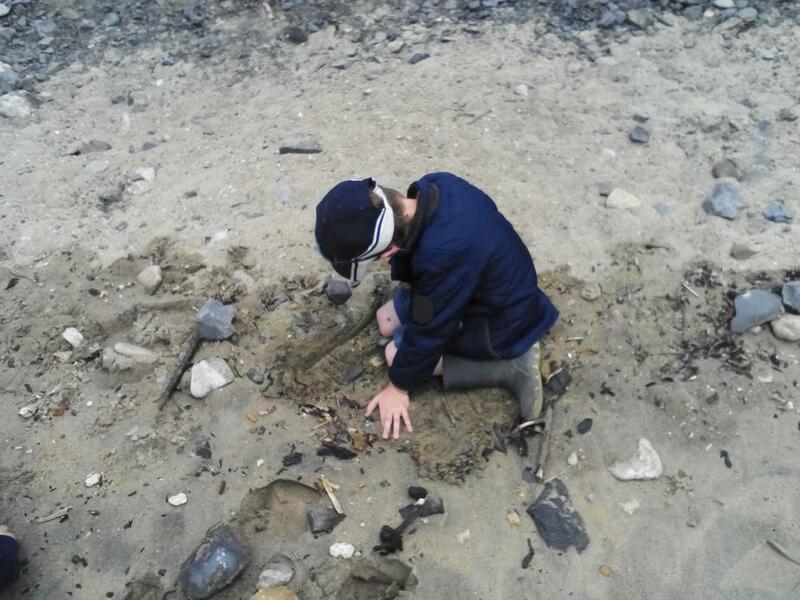 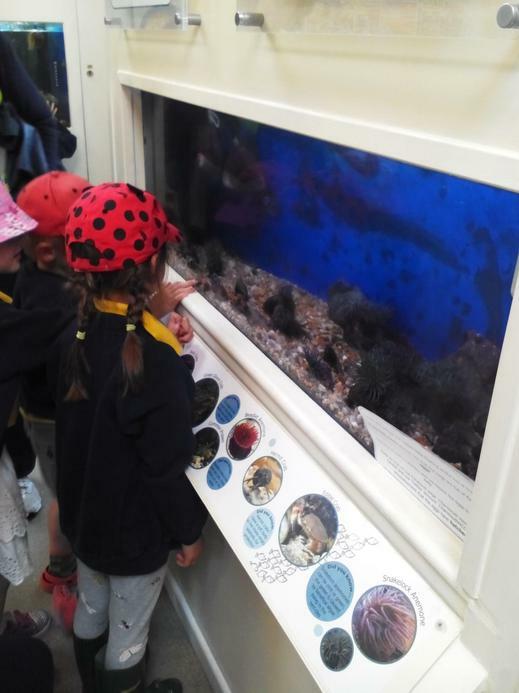 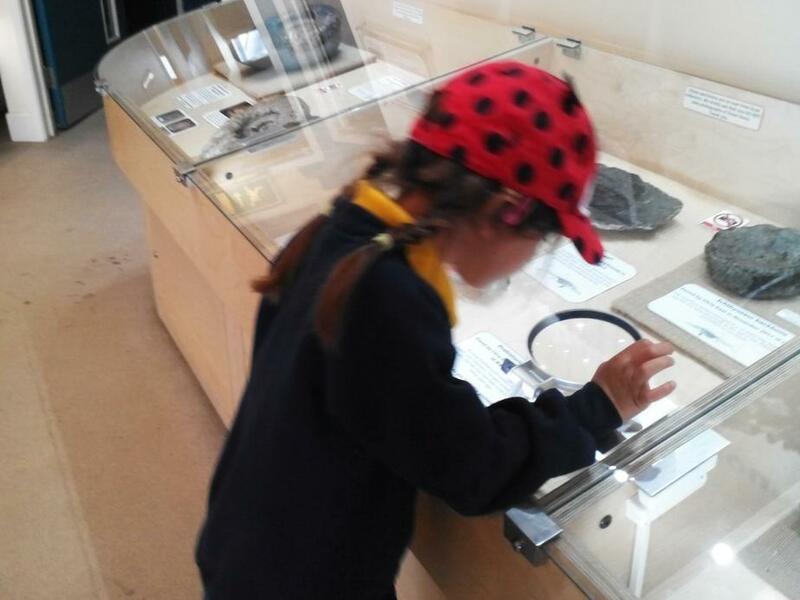 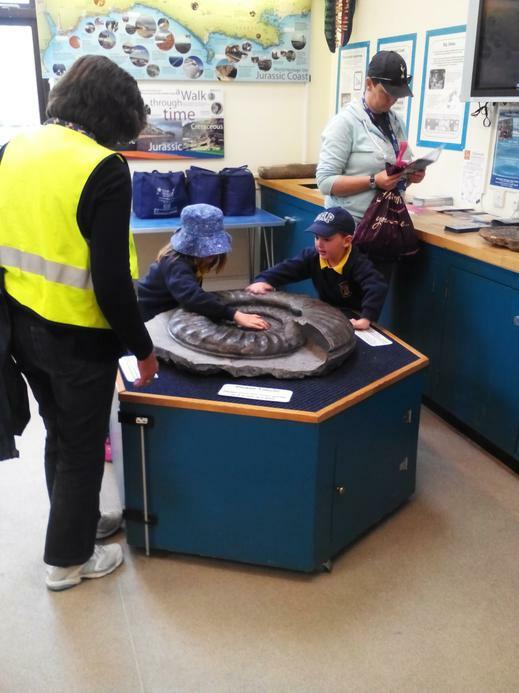 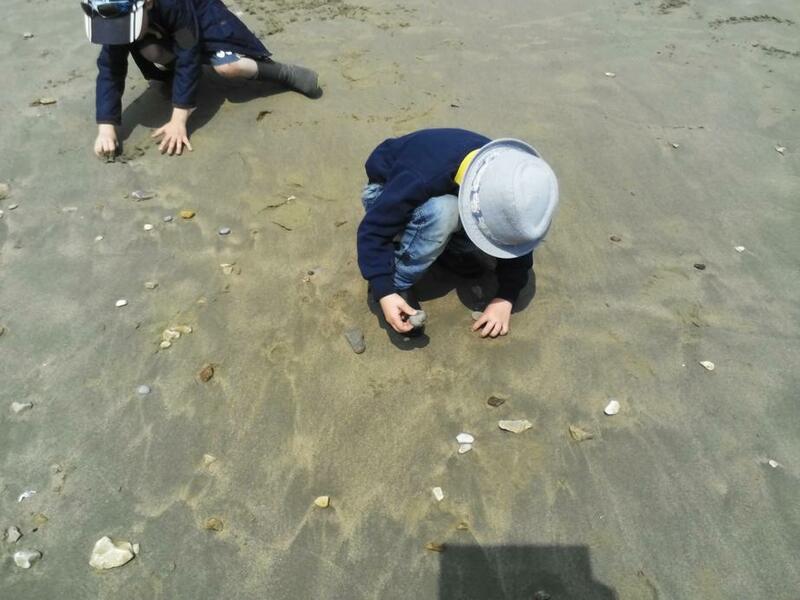 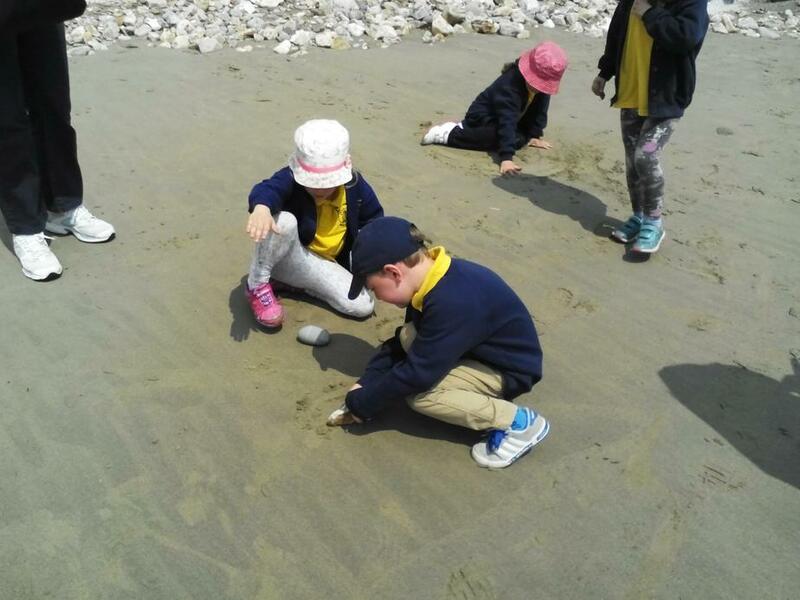 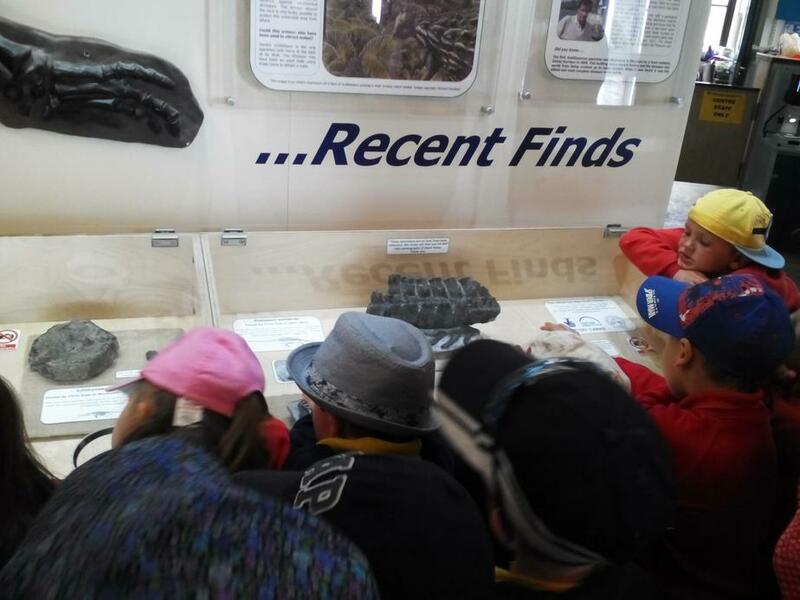 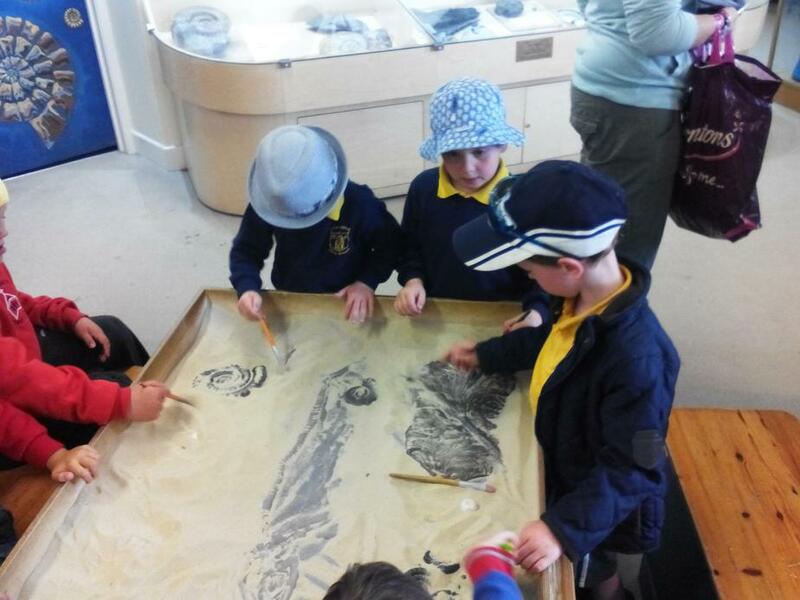 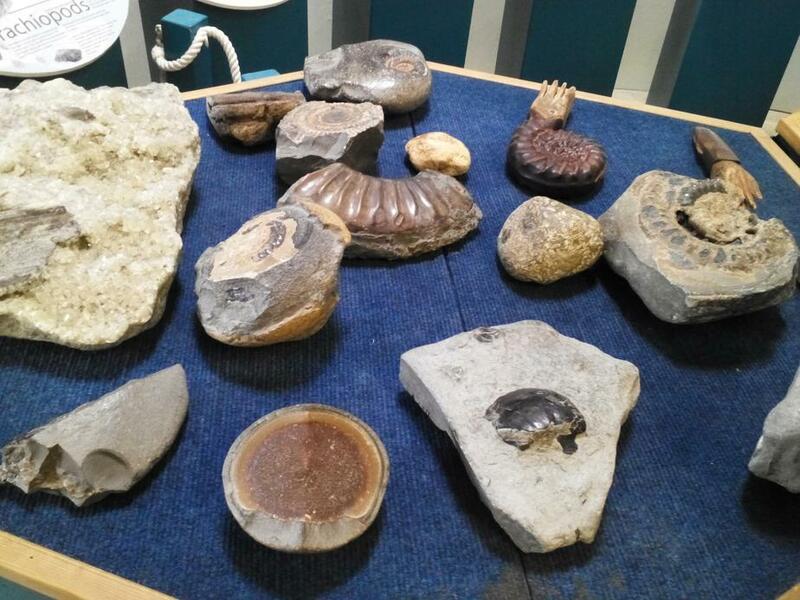 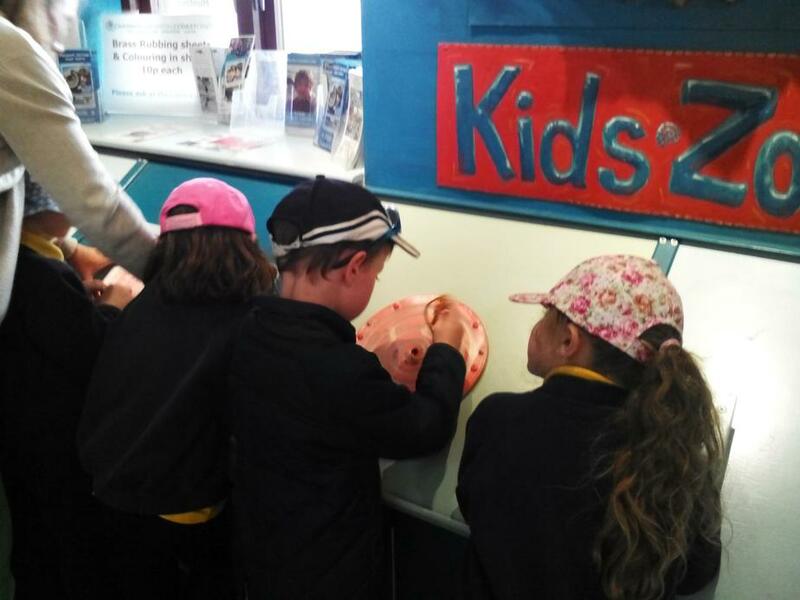 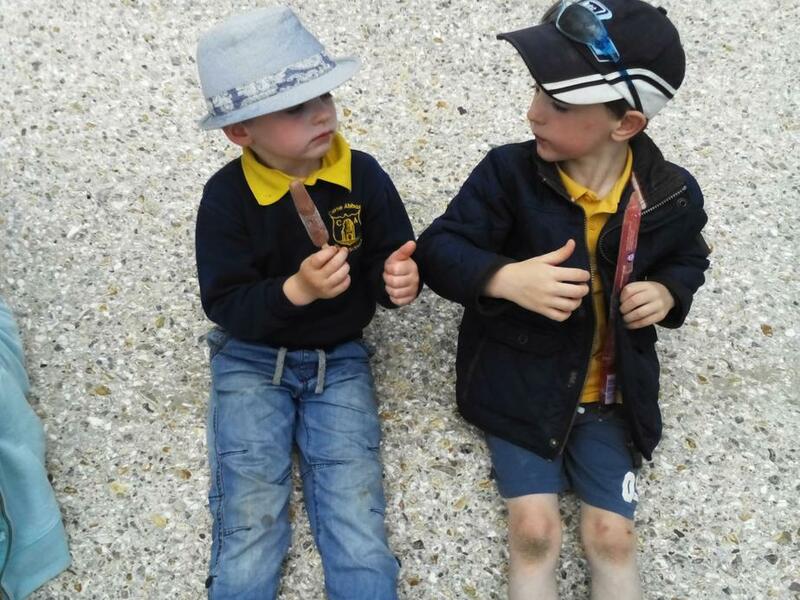 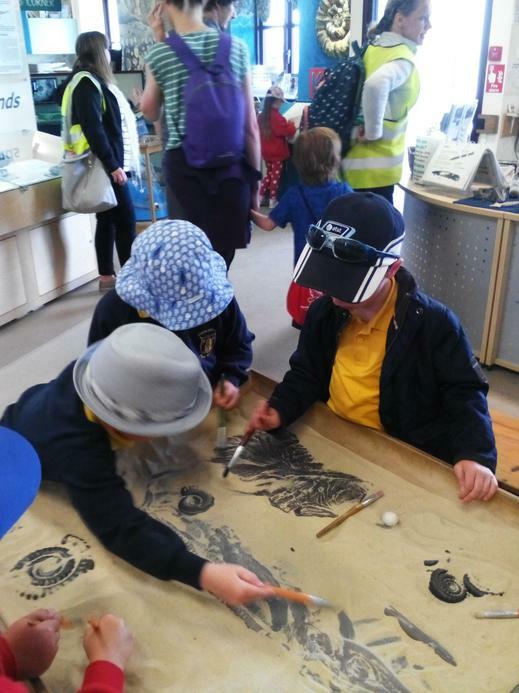 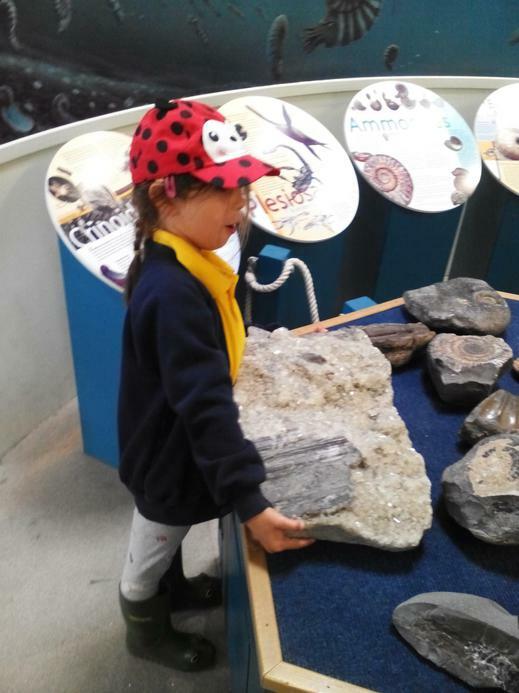 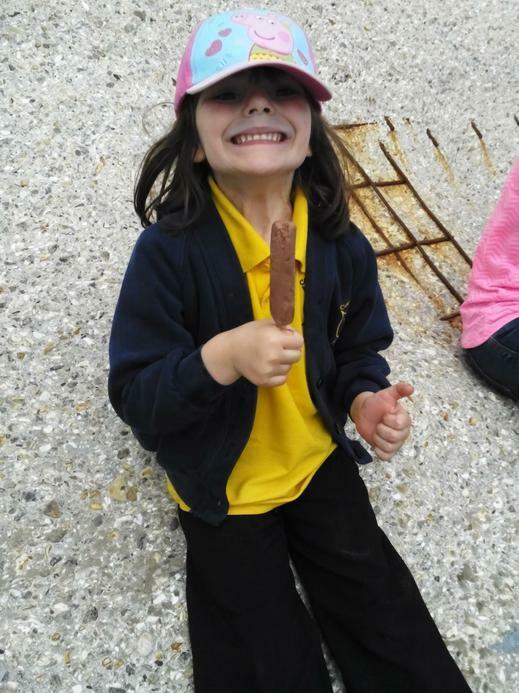 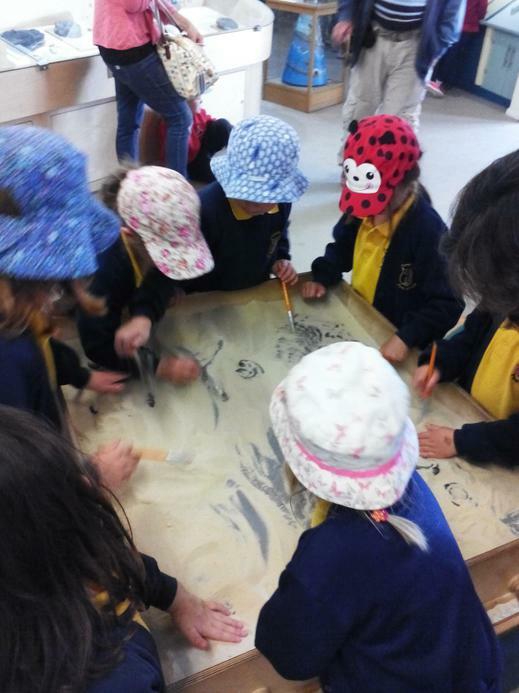 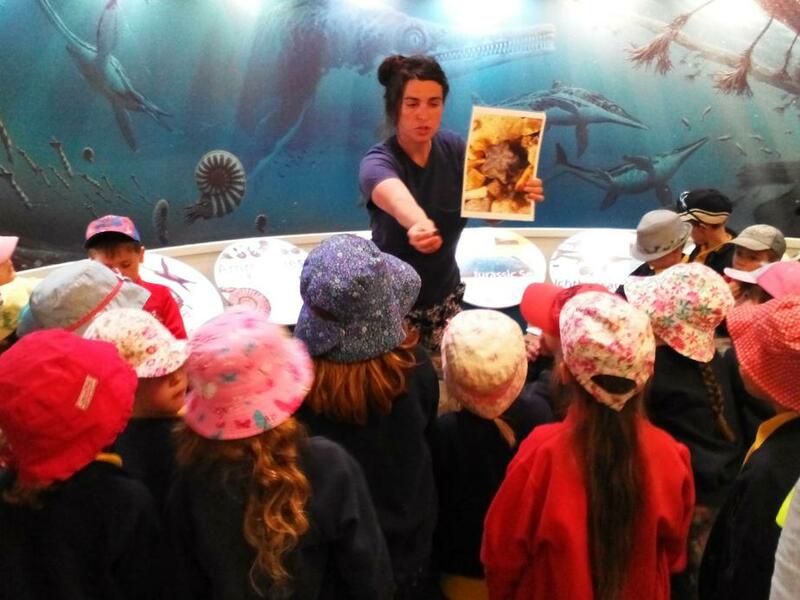 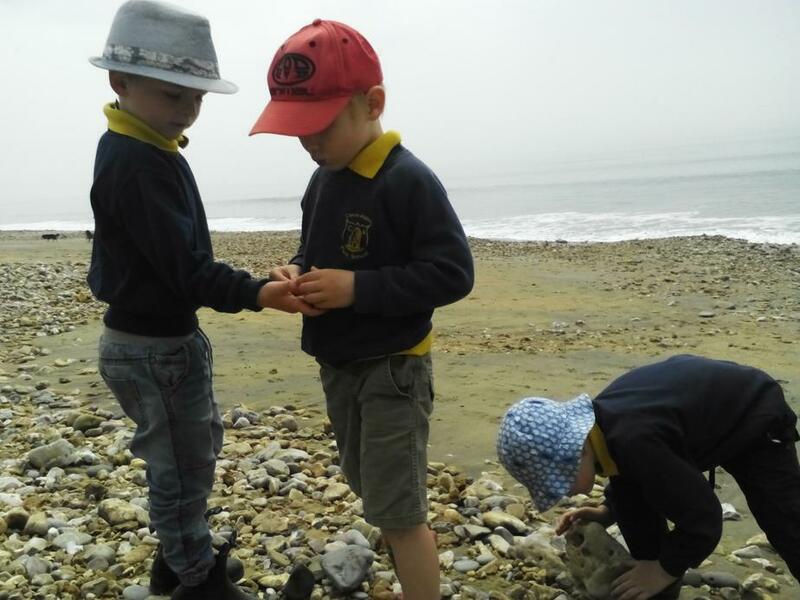 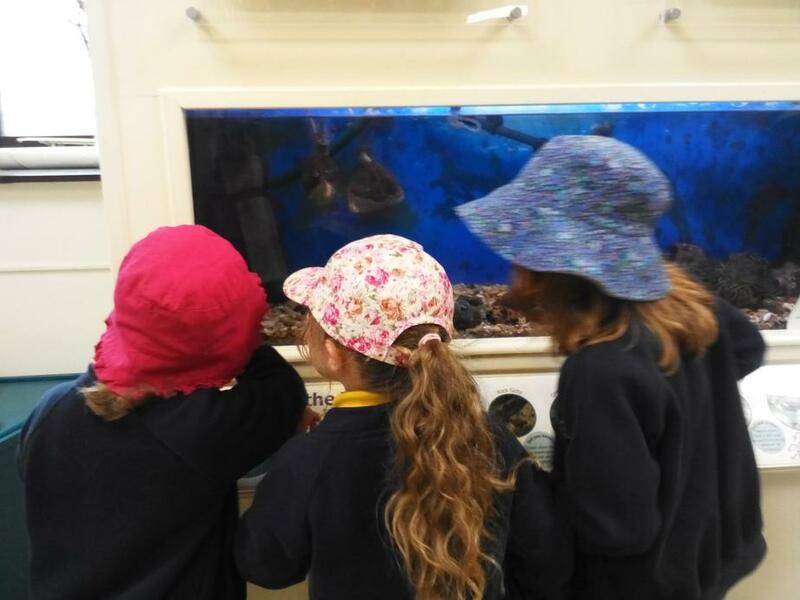 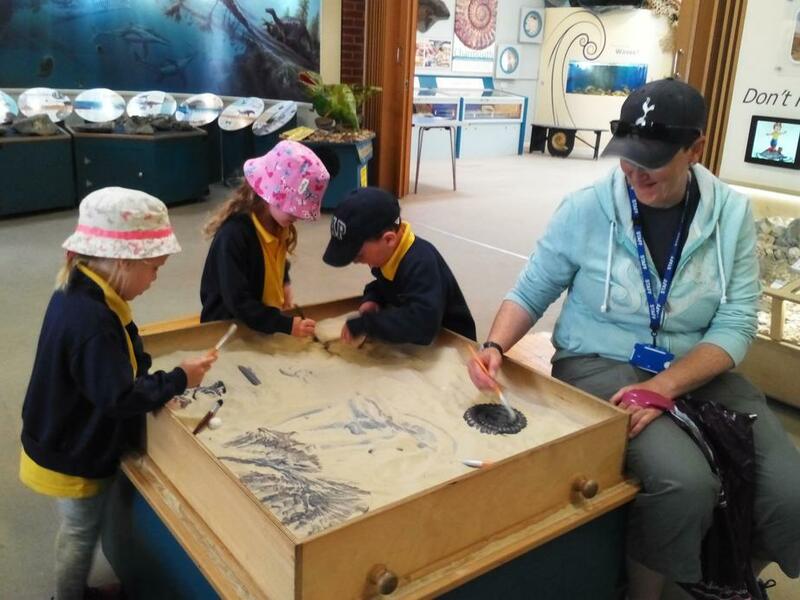 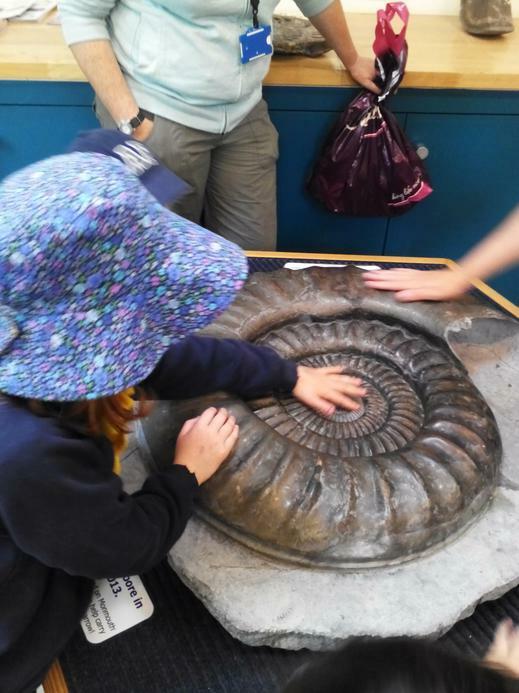 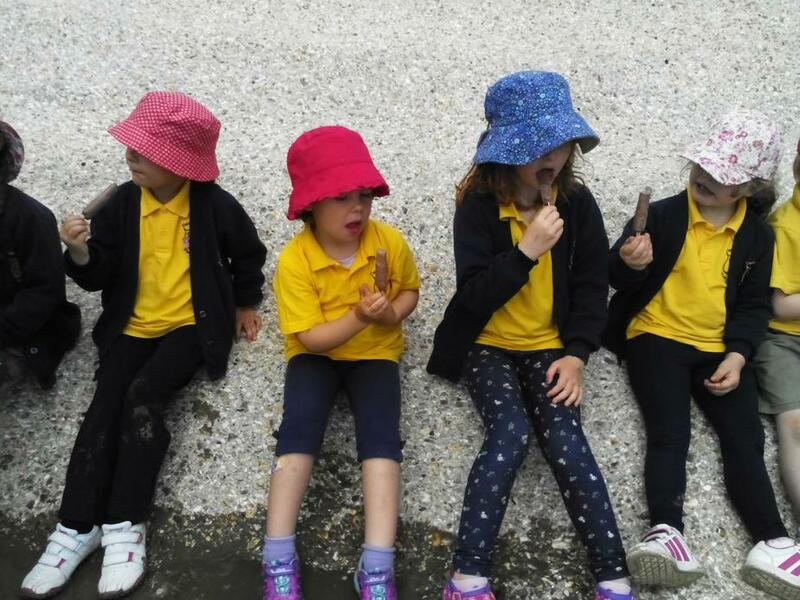 Then we had a look at all the fantastic fossils in The Heritage Centre before having a little snack on the beach and then hunting for some of our own fossils! 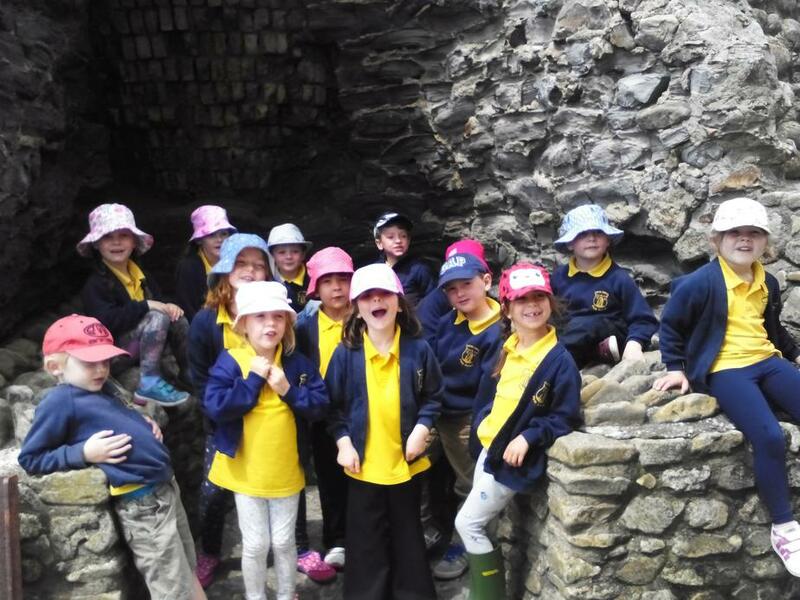 Some of us were successful...but sadly not everyone even though we looked very hard! 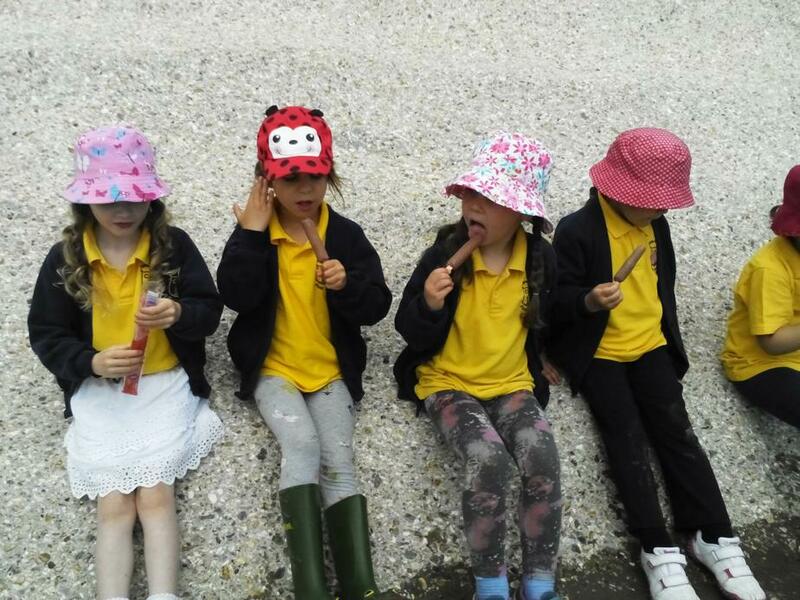 It was then time for our picnic lunch! 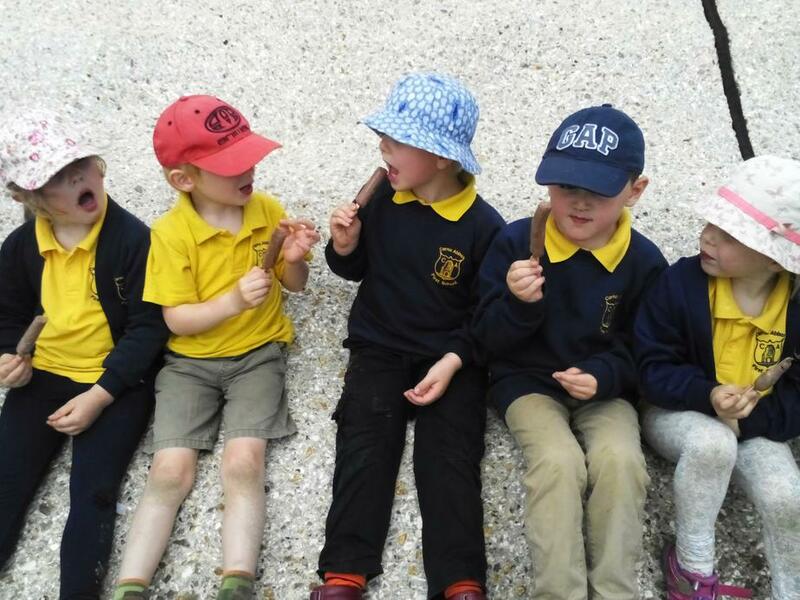 This was great fun and very tasty! 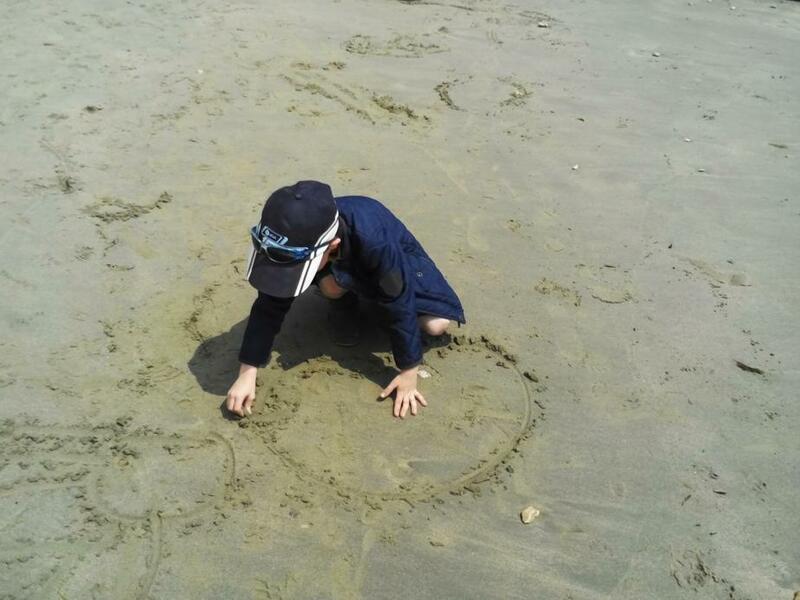 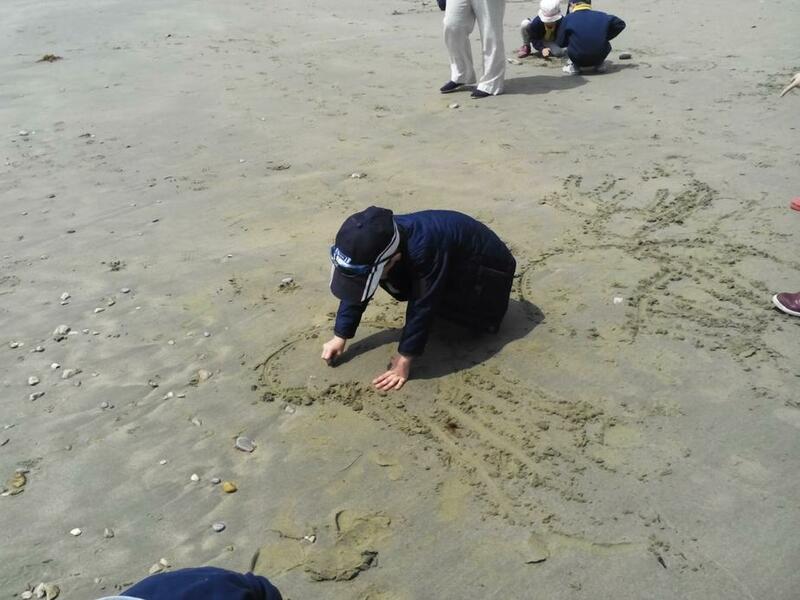 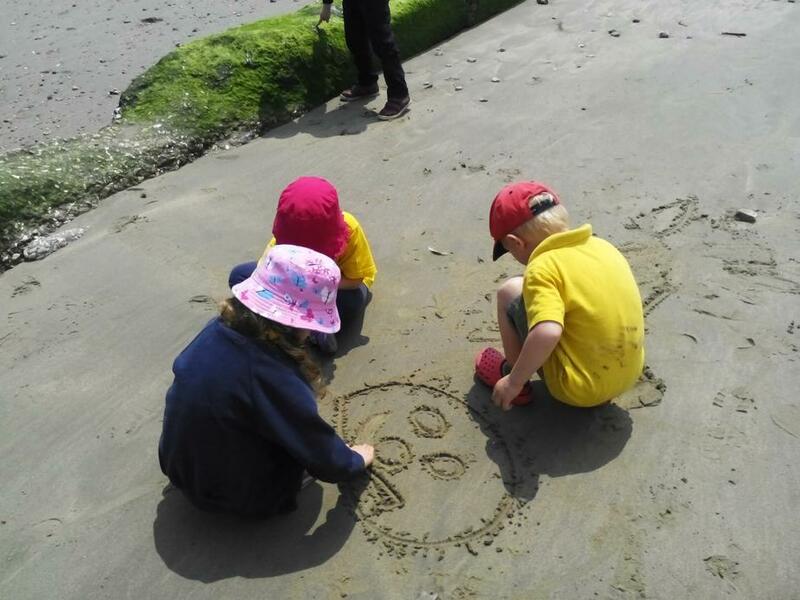 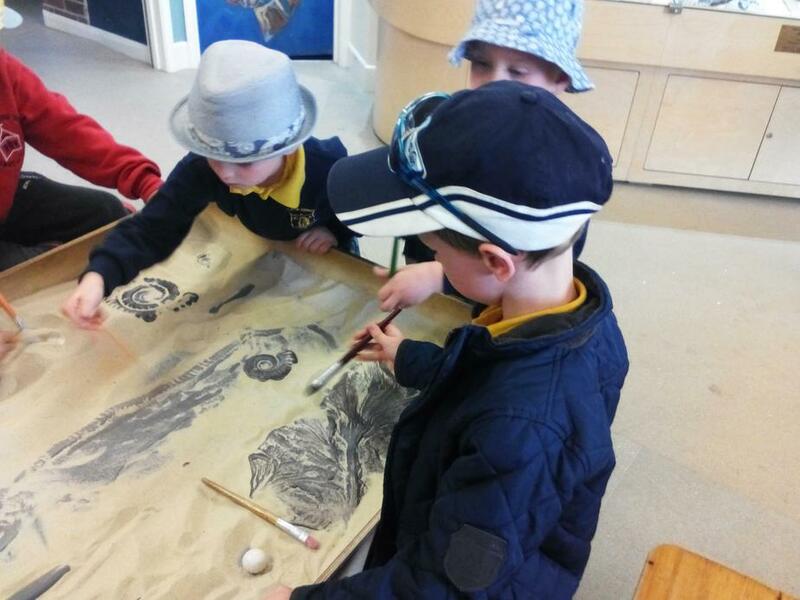 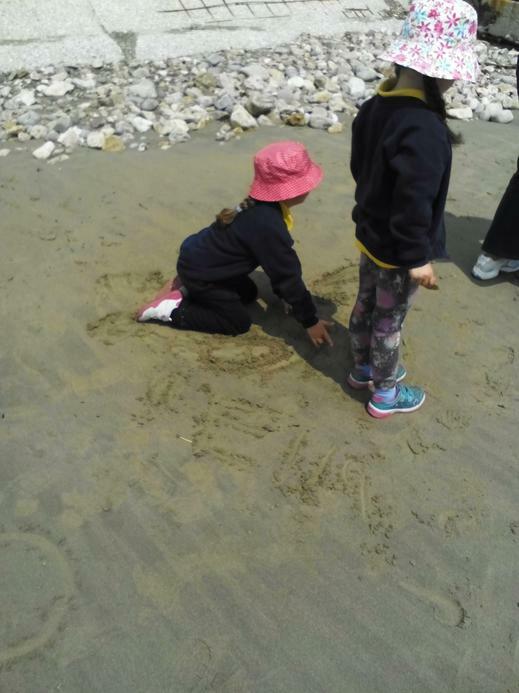 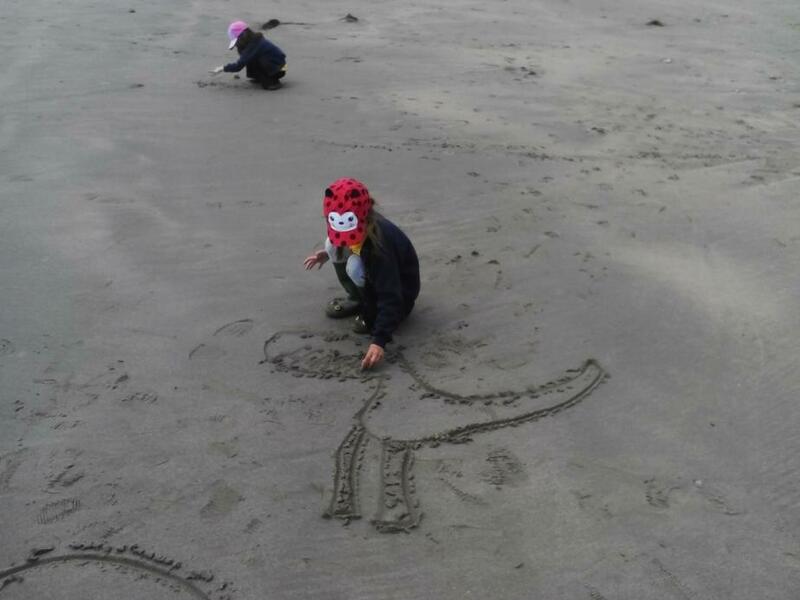 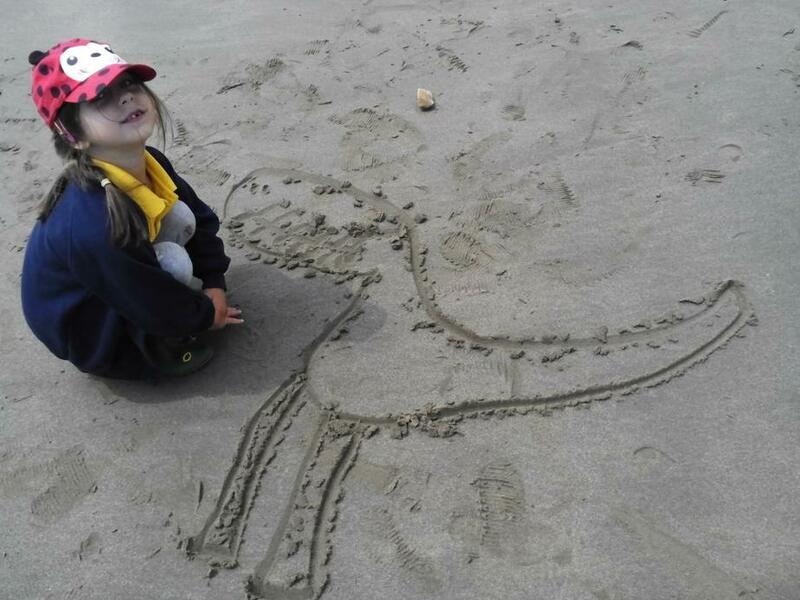 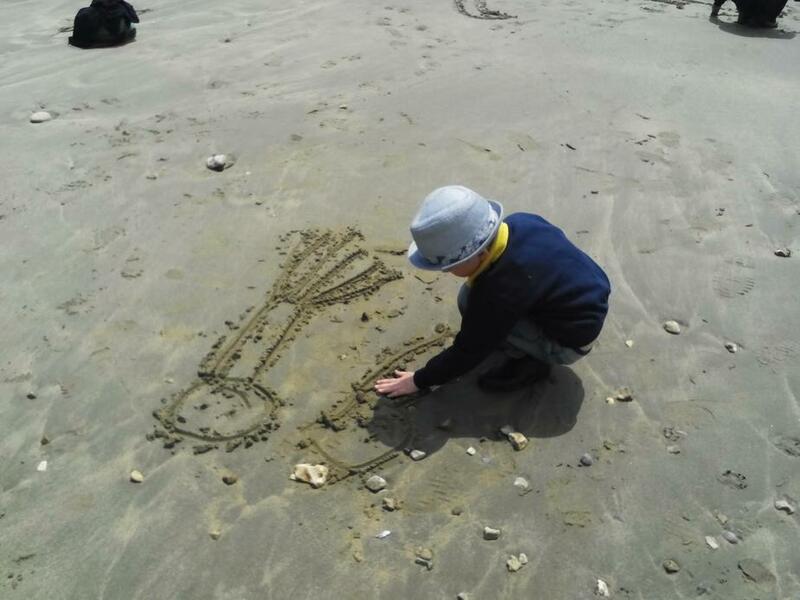 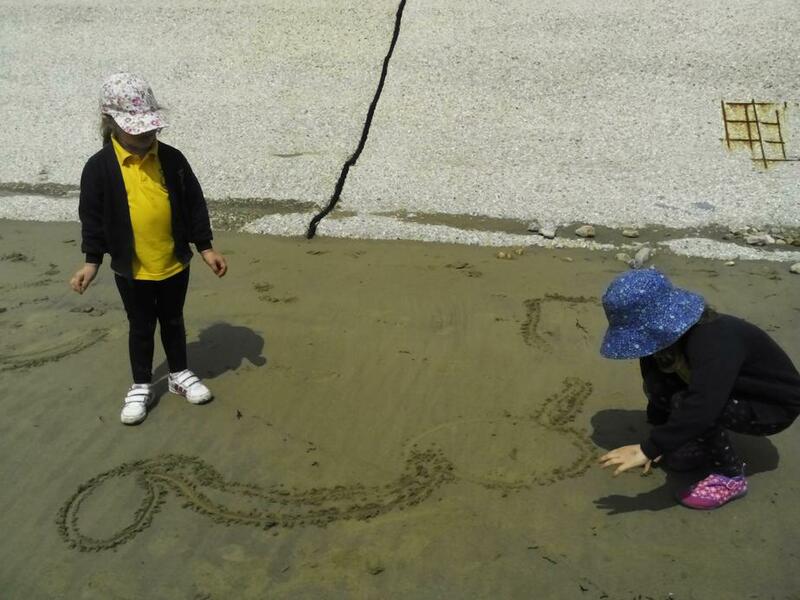 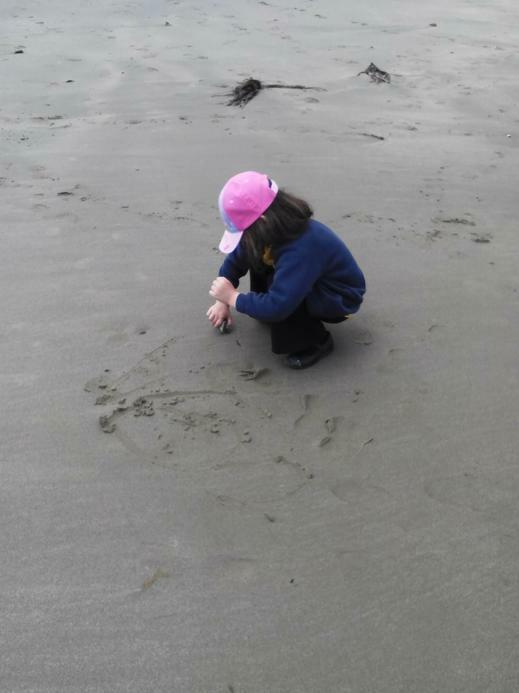 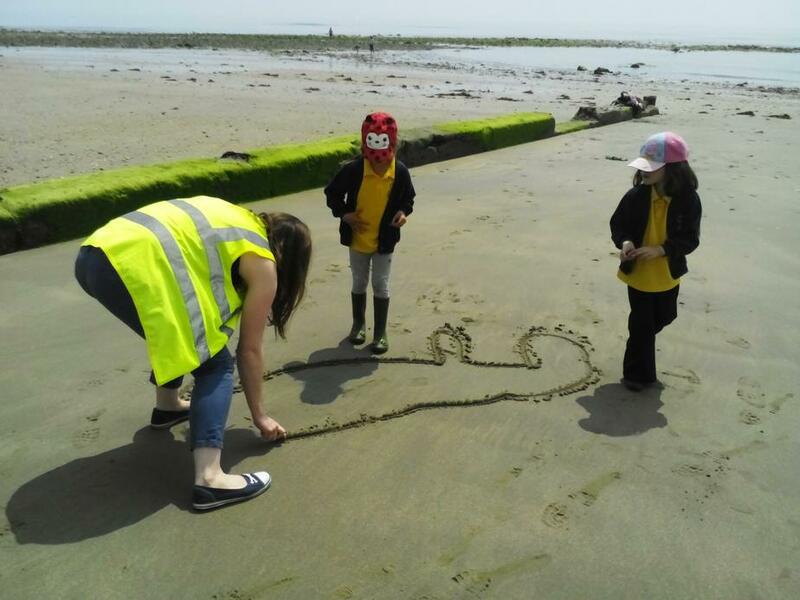 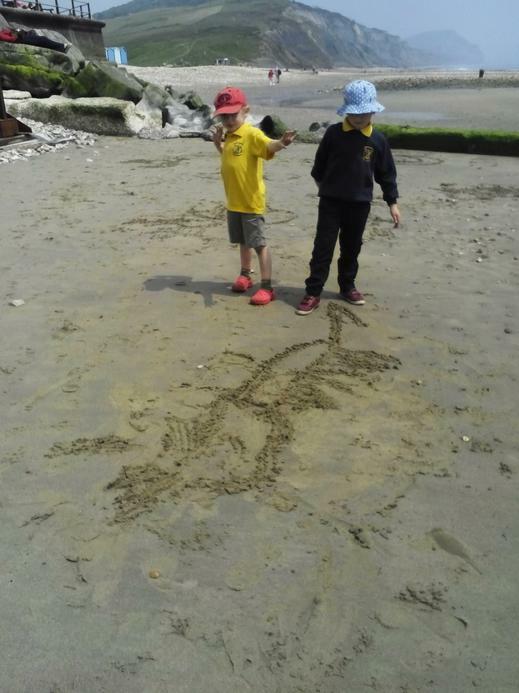 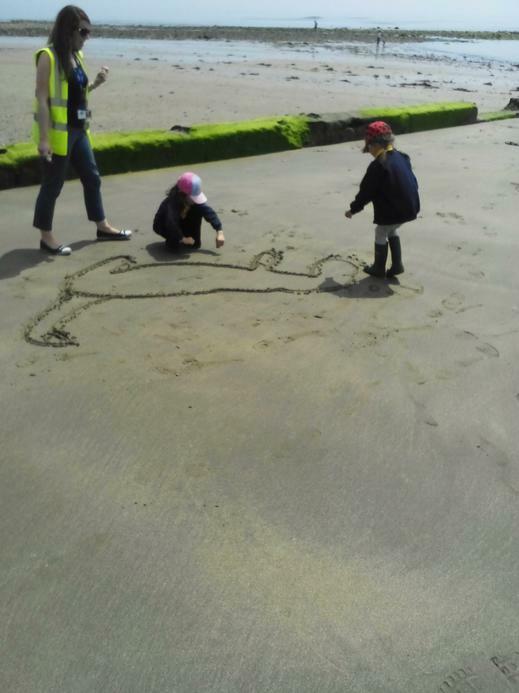 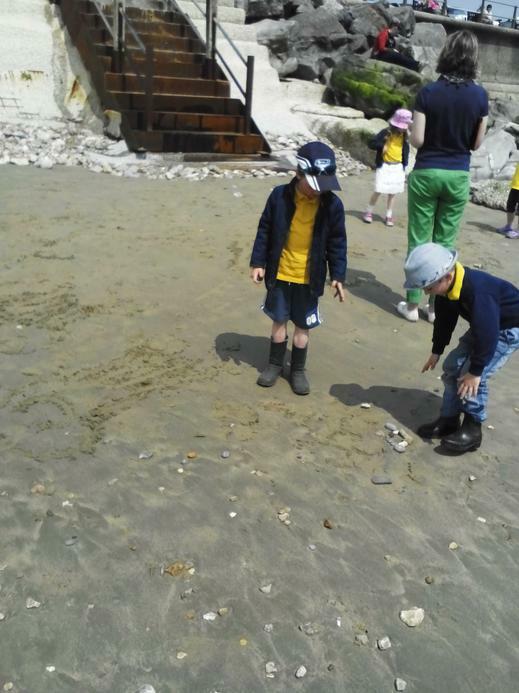 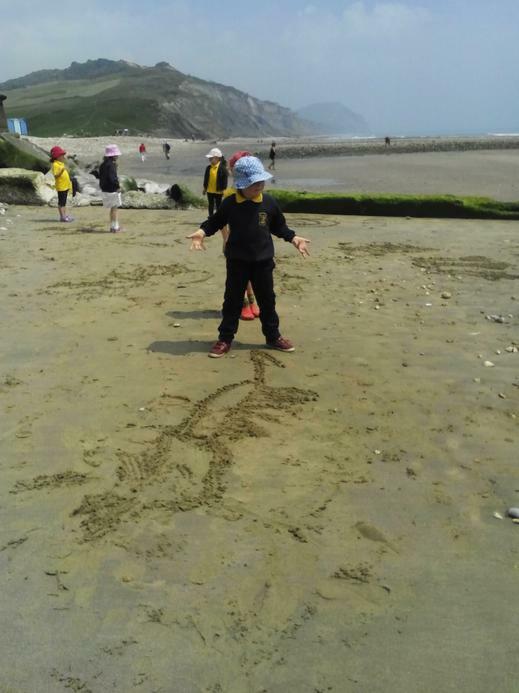 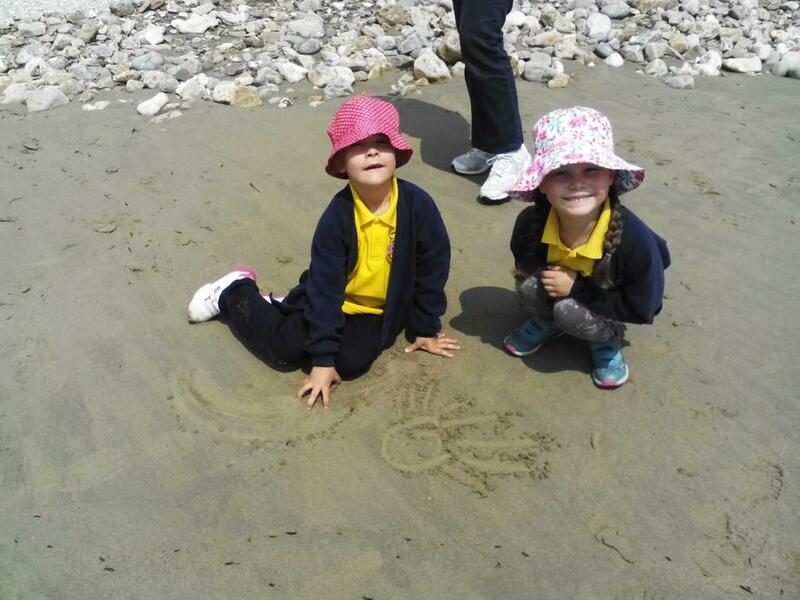 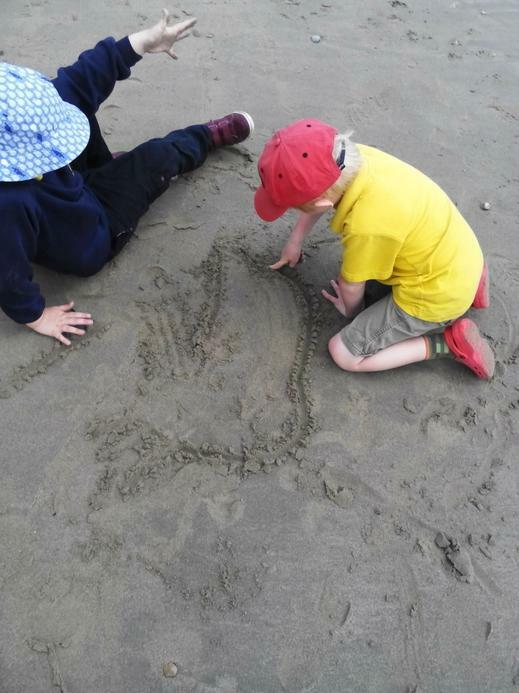 After lunch we went and made some dinosaur pictures in the sand on the beach before enjoying a tasty ice lolly to cool us down before the trip home in the minibus. 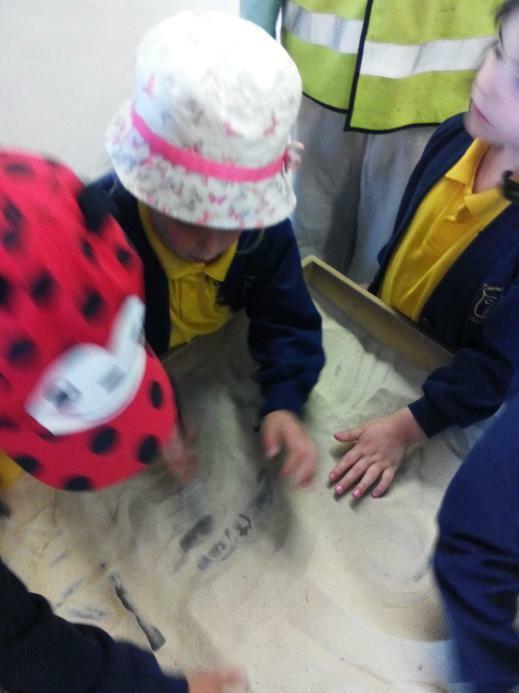 It was a busy day but lots of fun and Giant Class are definitely excited to be learning about dinosaurs this half term! 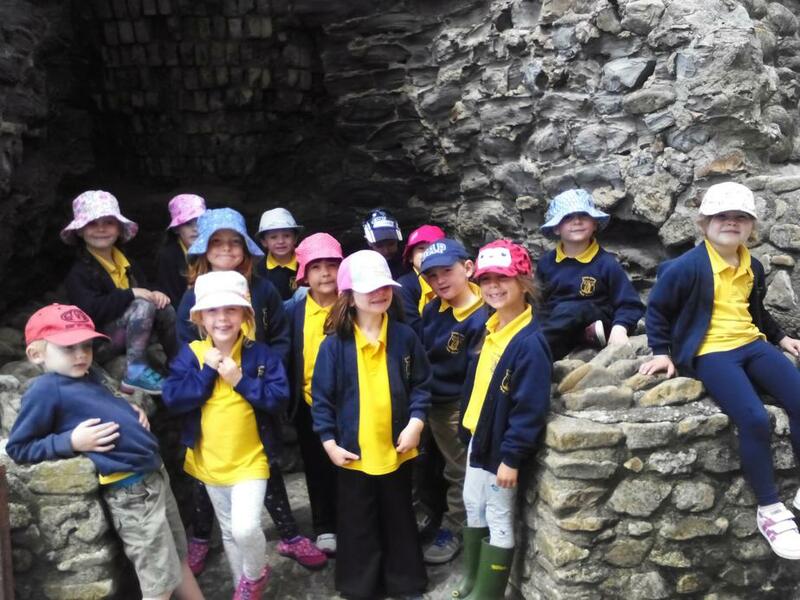 Giant Class were a pleasure to take out on our trip today, they were all of our school values, especially courteous and co-operative. 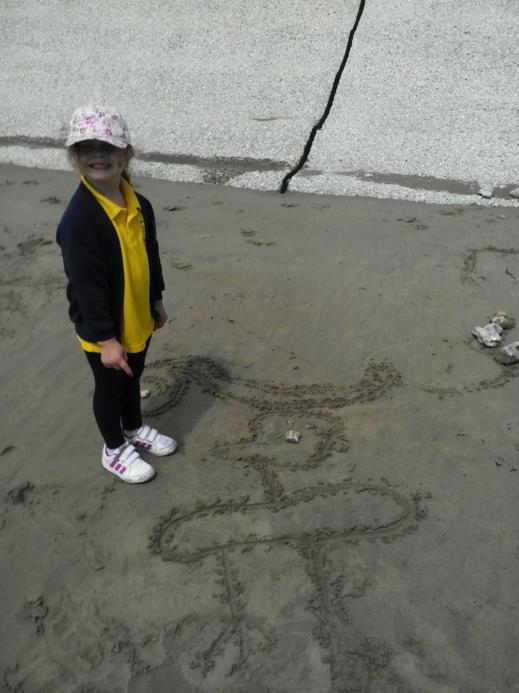 Well done Giants!